Dear Diva, I’m seriously lacking storage space in my master bath. I’ve been keeping all my extra toiletries in the hall closet and I can’t stand it any longer! What can I do to get more storage out of my bathroom? Thanks! Well Ally, it’s a great time to start thinking of organizational projects, after all spring will be in here before we know it! 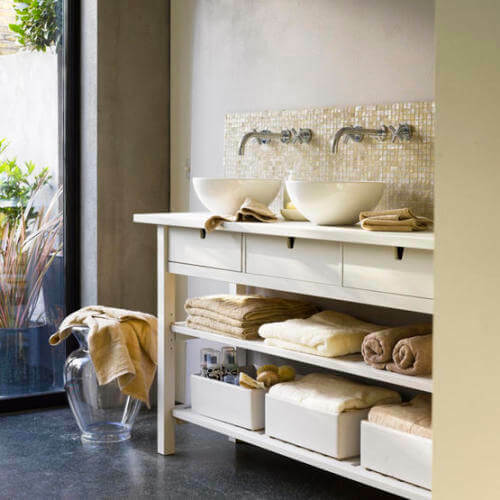 If your bathroom is lacking in storage here are three quick and easy bathroom storage solutions you can do yourself! So get out your hammer and get ready to get organized! Cabinets overflowing? The easiest way to get some more space in any bathroom is to utilize the space you’ve already got. This can be done with cabinet organizers and pull out drawers for base units. There multiple companies that make storage solutions like this for every room. One of my favorites is Rev-A-Shelf. If you feel like your stuff is always getting lost in the back of the cabinet, then check out the drawer pull out’s. If you need help organizing cosmetics, they have some cosmetic drawer inserts for that as well. 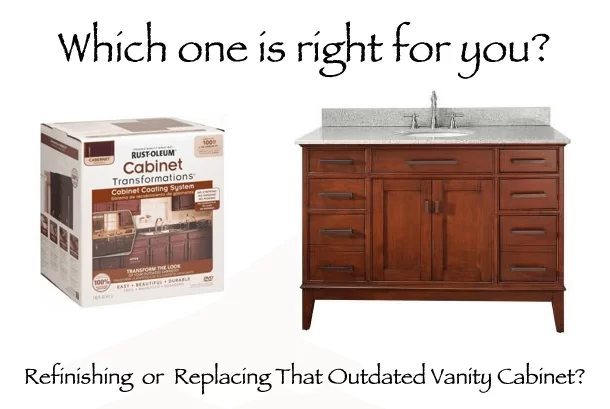 There are really a lot of options for organization that could help you maximize the space you already have without having to build or install something new. Too many Toiletries? Add a medicine cabinet. Of course you will need a section of wall space that is electrical wiring and plumbing free. Once you find that space, you’ve then created a great storage solution for toiletries and items you use daily that are easy to put away and once the door is closed, hidden! Nowhere for fresh towels? Depending on how much floor space you have, how about adding a linen cabinet? They are available in a variety of styles, shapes and sizes. Just make sure you measure out how much space you have before you go shopping! This will make sure you don’t have to make a second trip. If you don’t have floor space for a cabinet, consider shelves or a wall mount cabinet. You can install them right above the toilet or anywhere you have extra (plumbing and electrical free) wall space. This is a great way to store fresh towels and larger toiletry objects. Remember no matter what size your space, there are always ways to get the maximum amount of storage in any room. It might just take a little research and a little thinking outside of the box!